Expansion of New Life Baptist Church in Kwadwesi. We are wanting to start a second church soon. The sell of our house in the US- Our realtor let me know the house should be ready to list by March 9th. Please pray that it sells quickly. Property search- We have looked at several possible properties for Camp Rhino. We are running into drainage/sewer problems for the properties we have liked so far. Pray we will be patient and choose the property God wants us to have and that will be best for future growth. Our oldest son Tyler in Bible College back in the States. Josh and Meagan Sullivan are in their last months of their deputation. Pray they raise the remainder of their support quickly and also pray their South Africa Visa applications go though without a problem. They are applying for their visas next week. We have settled in our new/temporary home. We rented a place that suits our family well and also has extra space to house our interns and visitors from the States. Timmy and Destiny Kelly, interns from The Our Generation Training Center in Alpharetta, GA, are doing terrific. They have been heavily involved in all the ministries here since their arrival. Our 2nd children’s book of The Little Five Friends Series is in the illustrating stage. We hope to have this book available to you very soon. There is so much that needs to be done. Arriving back to South Africa has been great, and there are so many opportunities we are excited about in the coming months. I am now working with 5 young guys for ministry preparation. Seeing them trained to do the work of the ministry is my priority, and I’m praying God would send us many more like then. The need here in Africa is great. We need more laborers. Pray God works in the hearts of people to be a part of what’s going on. We are building a strong team that I pray not only impacts our country, but is involved in seeing missionaries and pastors sent all over Africa. 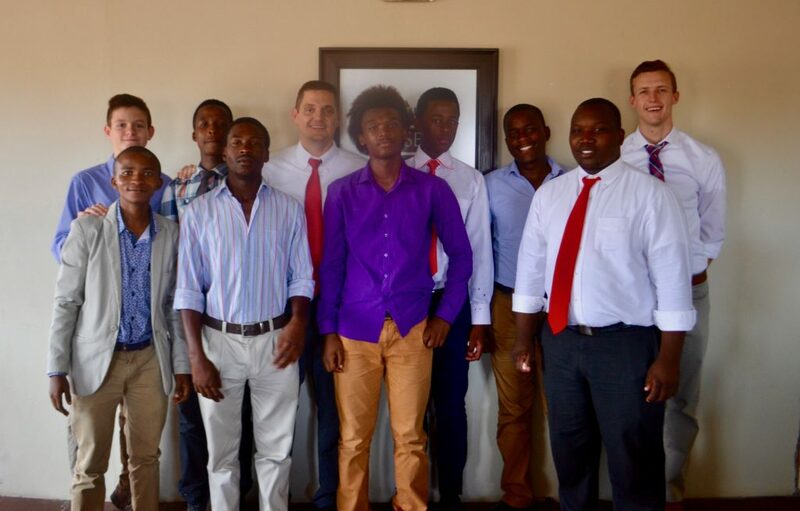 As Kevin Hall and I sat this week with a young man who wants to be a pastor from Zimbabwe, a country just north of us, I was reminded even more of the potential to see churches started here in South Africa and our neighboring countries. I am also praying far a fast home sale. I am also looking forward to my mission trip to be with you in June.